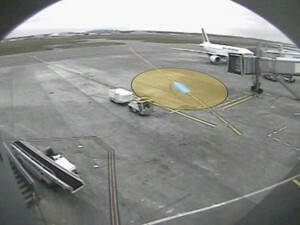 Video footage from i-Lids multi-camera tracking dataset. 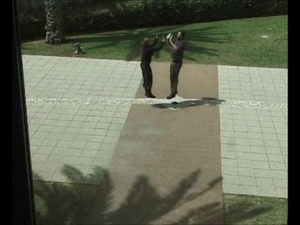 Video footage from: N. Kiryati, T. Raviv, Y. Ivanchenko, and S. Rochel, “Realtime abnormal motion detection in surveillance video,” in 19th International Conference on Pattern Recognition (ICPR), 2008, pp. 1 – 4. This tutorial provides an overview of the system's functionalities and capabilities. Sample video of spatial auditory display using the CAVIAR dataset. Sample video of spatial auditory display with a modification area covering the shop region applied to the CAVIAR dataset. 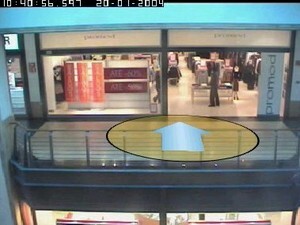 Sample video of spatial auditory display using the ETISEO dataset. The video files are encoded with the H.264 codec (video) and the AAC codec (audio). If you have any problems viewing the video sequences, you may download the VLC media player, including several useful codecs. 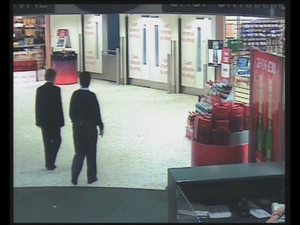 Höferlin, Benjamin; Höferlin, Markus; Goloubets, Boris; Heidemann, Gunther; Weiskopf, Daniel: Auditory Support for Situation Awareness in Video Surveillance. In: In Proceedings of the International Conference on Auditory Display (ICAD) (Noch nicht erschienen). 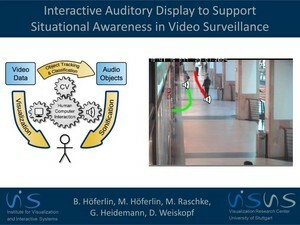 Höferlin, Benjamin; Höferlin, Markus; Raschke, Michael; Heidemann, Gunther; Weiskopf, Daniel: Interactive Auditory Display to Support Situational Awareness in Video Surveillance. In: In Proceedings of the International Conference on Auditory Display (ICAD), S. 156-163, 2011.